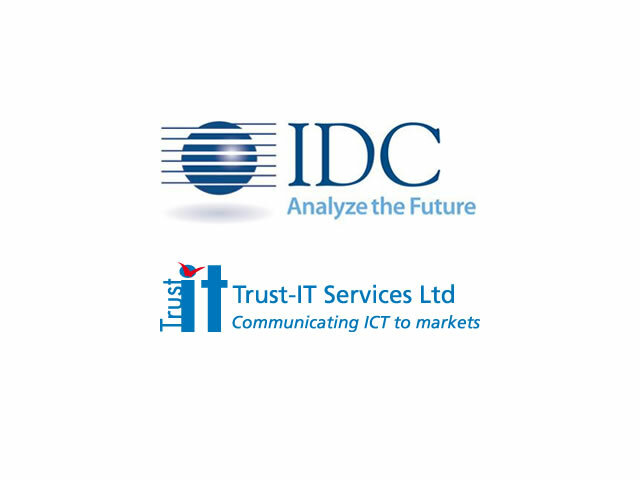 Trust-IT joined forces with IDC to analyse the uptake of cloud computing in research and by public authorities for DG CONNECT of the European Commission. Cloud for science and public authorities, FINAL REPORT was published in April 2012. Authors from IDC: Gabriella Cattaneo, Massimiliano Claps, Steve Conway, Marcello Bardellini; Authors from Trust-IT: Silvana Muscella, Stephanie Parker, Nicholas Ferguson. Background and motivation for the study: The European policy strategy for the implementation of the European Research Area and the pursuit of excellence in science by Horizon 2020 reflect the increasing relevance of scientific and research activities for growth and innovation. The development of e-infrastructures across Europe is becoming an enabling condition for the "fifth freedom" of knowledge and data mobility in the European Union, responding to emerging demand for open, flexible and scalable computing capacity that national resources cannot satisfy. As the demand for e-Science grows beyond the traditional boundaries of national research networks and big science projects, there is a clear potential for cloud computing infrastructures and services to fill the gap between traditional offerings and emerging demand, as documented by this report. The development of clouds for government and science with particular reference to the SIENA Roadmap, VENUS-C, EGI and Helix Nebula. Analysis of Demand for e-science clouds. Forecasting demand for the EU science cloud. Analysis of government and funding models.